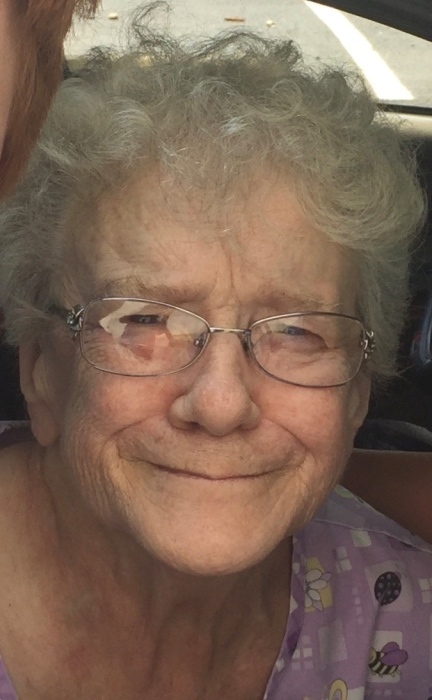 Geraldine Anita Gauthier Hickman, age 80, of Morgantown, passed away peacefully Tuesday, February 12, 2019 at Mon Health Medical Center with her loving family at her side. Geraldine was born July 26, 1938 in Malone, NY, a daughter of the late George and Leona (Russell) Gauthier. Survivors include her seven children, Darlene Hickman Phillips Burns and her husband Terry, Linda Hickman Cralton and her husband Charles, Robert George Hickman, Mary Jane Hickman Flores, Viola Hickman Riggleman, and twins David Samuel Hickman and Donna Helen Hickman Harden all of Morgantown; 13 grandchildren, 16 great-grandchildren, one great-great-grandchild; three brothers, Guy "Butch" Gauthier and Gilbert "Buck" Gauthier both of Rome, NY, and George "Buddy" Gauthier and his wife Kathleen of Arizona; four sisters, Gail Monet and her husband Carlos of Texas, Gloria Gauthier Hancock of Texas, Greta Gauthier Johnson and her husband Mark of Syracuse, NY and Georgeann Gauthier of Syracuse, NY; as well as many nieces and nephews. In addition to her parents, she was preceded in death by her husband Robert Lawrence Hickman; three sisters, Grace, Gladys and Jeane, and a grandson, David Ray Riggleman. Geraldine was completely devoted to her family, and a hard-working woman. She enjoyed taking her kids to drive-ins in their younger years and spending time with her grandchildren. She was a craft lady who enjoyed knitting and crocheting, as well as reading and going fishing. She loved to catch a good movie that starred her favorite crush, John Wayne. Friends may join the family to honor Geraldine's life and legacy at Smith Funeral & Cremation Care, 108 Holland Ave., Westover on Friday, February 15th from 1-3 & 6-8 PM, and again on Saturday, February 16th from 12 Noon until the time of the funeral service at 1 PM officiated by Pastor Jim Cooley. Following the funeral service, and in honoring Geraldine's request, she will be cremated and inurned at a later date with her husband in the Burnt Meeting House Cemetery. To send the family your personal condolences and other symbolic gestures, or to order flowers, please visit www.smithfcc.com.